Vera Gunnarson sat in her Seattle-area home recently, pouring through a neat file of long-term-care insurance papers. The oldest was signed in 1994, when Gunnarson was 61. That is a question many older Americans must ask themselves as they consider whether to buy long-term-care insurance. The National Association of Insurance Commissioners estimates about 9 million Americans, now age 65 or older, will need care for physical or emotional needs required over an extended period of time. Average annual costs for a private room in a nursing home in Washington is $95,995, according to a study by Genworth Life Insurance Company. Nationally the cost is $83,950, the study found. But in the Seattle area, some nursing homes charge as much as $10,000 per month. Assisted-living facilities, which operate under a different state license and don’t offer 24-hour skilled-nursing care, average about $41,000 per year nationally and $51,000 in Washington. In-home care averages about $19 per hour nationally and $22 per hour in the state. With those high costs, long-term care can quickly wipe out the savings of elderly individuals. The insurance industry began selling long-term-care insurance in the early 1980s to help seniors pay those high costs at the end of their lives. Companies sold policies to people in their 60s and 70s who wanted the protection if they later needed such care. Now many of those early buyers are filing insurance claims, and some are facing significant problems getting paid. If a policyholder is too ill or disabled to fight the insurance company, and doesn’t have a relative or an advocate to take over the task, claims sometimes are never paid, Quiat said. Nineteen years ago, Vera Gunnarson and her husband, Dan, bought long-term-care insurance from Bankers United Life Assurance Co. to cover skilled-nursing-home care. Dan’s premiums cost $1,425 for the first year. Since then, the policy has changed hands two times – first to AIG, then to TransAmerica Life Insurance. Today, Gunnarson pays $4,800 a year for her husband’s coverage. And Dan Gunnarson, 88, is at the point in his life where he needs long-term care. He has Parkinson’s disease and dementia, and Gunnarson is unable to care for him in their home. She moved her husbandto a long-term-care facility in Edmonds after a psychotic episode that landed him in the hospital psychiatric ward in May. She thought that because her husband needed long-term care, their insurance would pay for it. Unfortunately, she was wrong. 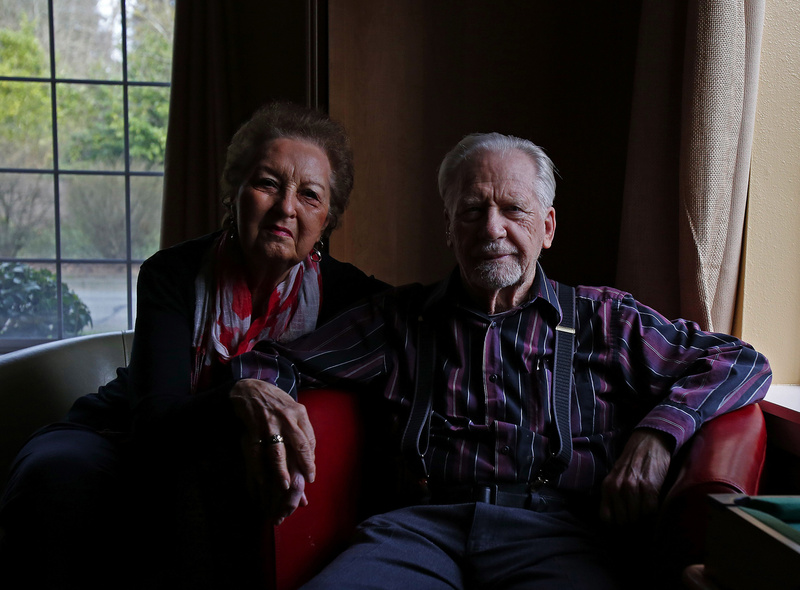 The policy the couple bought covers skilled nursing-home care. But Dan’s physician wrote to the insurance company stating his ailments are best served at a special dementia-care facility like the one where he is, rather than a more expensive skilled nursing home. Gunnarson called the insurance company and later had the director of the facility work on her behalf, but failed to get anywhere. She ultimately hired elder-law attorney Janet Smith, who also couldn’t sway the company to cover Dan Gunnarson’s care. She even filed a complaint with the state insurance commissioner. Gregory Tucker, head of communications for TransAmerica confirmed that Dan Gunnarson has a long-term-care policy with the company. Tucker said he could not comment on the specifics of the case because of privacy reasons. Despite problems like the one faced by Gunnarson and others that they represent, both Smith and Quiat said seniors should consider buying long-term-care insurance. Find a reputable company, they said, and be very certain about what you’re buying. Also be aware that premiums may increase as you age. “There are companies that bend over backward that are wonderful, and those are the companies that people have to buy their insurance from,” Smith said. In 2012 the industry paid out $6 billion in claims, said Allison Payne, whose company EM-Power Services sells long-term-care policies to employers to offer to their employees. Today’s policies, she said, are more likely to cover care in all types of settings, so people can stay in their own home and community safely and independently instead of going to a nursing home. Under a tax-qualified plan, benefits are payable when a licensed health care practitioner certifies that an individual cannot perform at least two “activities of daily living” without substantial help for a period expected to last at least 90 days, or if the person requires substantial supervision to stay safe due to a severe cognitive impairment, such as Alzheimer’s disease. Payne encourages consumers to buy insurance when they are younger, when premiums are less expensive, before carriers come out with higher-priced, newer models, and when they won’t be denied a policy because of existing health conditions. “The biggest challenge is getting people medically underwritten. Thirty percent of people who apply for coverage outside of a workplace plan are declined due to pre-existing medical issues,” Payne said. Gunnarson says she’s frustrated with her situation but continues to pay $1,200 per quarter for her husband’s insurance in case he ever needs a nursing home. But she’s dropped her own policy and plans to sell her home if she needs nursing-home care.